The Wilberforce Foundation was established to support faith-based organisations who are reaching out to communities and making a difference in the lives of others within New Zealand. 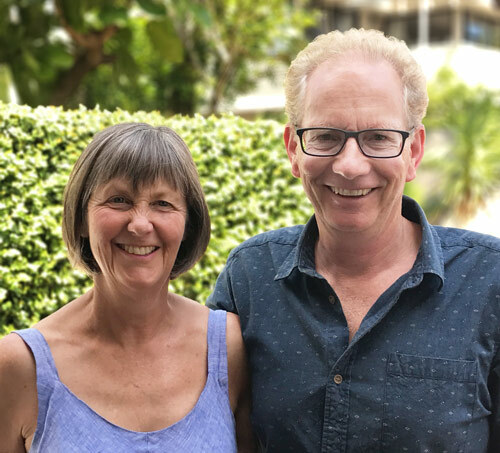 The Foundation was founded by Ian and Wendy Kuperus in 2008 as a vehicle to distribute funds made available from their commercial interests, including Tax Management New Zealand (TMNZ). The name Wilberforce Foundation was inspired by the example of William Wilberforce (1759–1833) and the Clapham Community that were committed to working together to live out their Christian faith to help improve society. The Clapham Community came from diverse backgrounds and occupations, and worked together over many decades and generations to achieve significant social change. Their influence was wide and included causes such as the improved treatment of indigenous peoples. The group have also been credited with playing a significant part in the development of Victorian morality, through their writings, their societies, their influence in Parliament and their example in philanthropy and moral campaigns, especially against slavery. In the words of writer Stephen Tomkins, "The ethos of Clapham became the spirit of the age." William Wilberforce is most notably known for his role (along with the Clapham Community) in the enactment of laws to abolish slavery. In the years leading up to the signing of the Treaty of Waitangi, most of the 25 members of the British Colonial Office were also Clapham members. Together this group were a powerful force that campaigned for the protection and preservation of Māori society. Grant making activity undertaken by Wilberforce includes a mix of direct financial support, capital loans and specialist consulting input and capability support. Ian and Wendy Kuperus live in Auckland, have four adult children and one grandchild. A born and bred South Islander, Ian has been passionate about creating a better tax environment for New Zealand businesses for his whole career. Prior to starting Tax Management New Zealand, the world’s first tax intermediary, Ian worked in a number of senior tax roles in Wellington and Auckland. Wendy grew up on a farm north of Auckland, working as a nurse in both Hamilton and Wellington. Wendy is currently involved in a number of community organisations supporting families, children and young people. Ian is the founding director of TMNZ and is also an active investor in several engineering and technology start-up ventures. He is passionate about giving back to the community and has been a long-time supporter of many charities working with disadvantaged people in New Zealand and around the world. Both Ian and Wendy are committed Christians — a life and faith journey that has guided and challenged their decision making in family, business and the community. 3 October 2018 — The Faith and Belief in New Zealand study is a balanced and evidence-informed view that aims to help charities, churches and all New Zealanders better understand the landscape we live in now, and into the future. 9 October 2017 — Around 1000 at risk young people from South Auckland stand to benefit from the second government social impact bond that was launched earlier in September. This social bond will run for six years and is a partnership between the NZ government, youth development agency Genesis Youth Trust and a group of investors including the Wilberforce Foundation. 15 September 2017 — Over 40 years after Sir John Walker’s iconic gold medal win in the 1500m at the 1976 Montreal Olympics, a statue will be cast in bronze to serve as an inspiration to the young people of New Zealand. © 2017 The Wilberforce Foundation. All rights reserved.